Dexsar Harry Anugrah is a graphic designer specializing in font design. 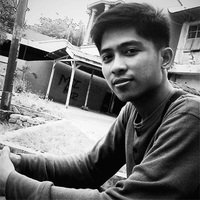 He was born in Makassar City, Indonesia in December 1991 and started his career as a font designer in 2012. In the same year he focused on designing fonts and create his new foundry - Majestype. Each font he created was inspired by people closest to him and in the area where he lived. He really likes fonts with script styles and is currently still making font styles like that as much as possible.